Happy Friday! I just finished up a keynote at FullStack London this morning. It was a fun crew to talk web animation tools with and it’s always nice to visit this city. This week’s issue has a clever 3d flip menu, scroll-triggered SVG morphs, some really impressive animated transitions and more. Enjoy! p.s. Replies go straight to my email and I read them all. I’d love to hear about what you’re working on. There are lots of black and white morphing animations in this site. The way they so smoothly transition from the opening video to the interactive logo is very nicely done. 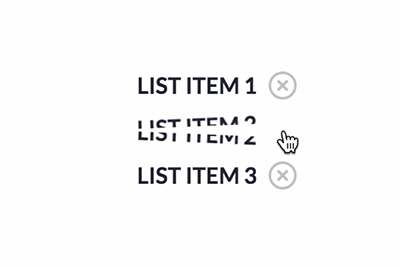 The cursor-following dots make for a unique, yet unobtrusive, interaction pattern too. 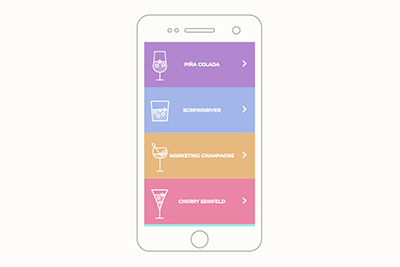 A fluid and bendy-scrolling drinks menu SVG animation from Chris Gannon. It's based on Sergey Valiukh's Restaurant Menu Dribbble post which is also pretty darn cool. 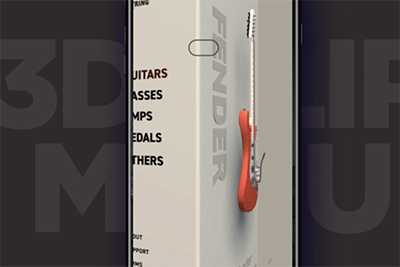 Love the added depth of the guitar in this 3D menu effect by Minh Pham. A fun way to cross things off your to-do list with SVG and CSS animation by Aaron Iker. The scene transitions and perspective changes in this animation are really great. I love it when seemingly simple shapes and colours can build up to complex effects. A helpful tutorial on animating a toggle button with CSS by Maria Antonietta Perna. She includes a detailed breakdown of the various CSS transition properties too. A fast 2kB low-level WebGL API. GPU based with shaders by Colin van Eenige. He even has a nice collection of examples too. 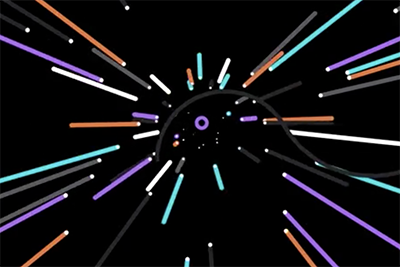 An addictive audio synthesizing demo by Joe Harry that uses path animations to give you feedback about the notes you're creating. A neat collection of different variations on code-based animated clocks. I’ll be at these conferences in the next few months. If you’re at one of them too, come say hi! You can update your preferences or unsubscribe from this list here.